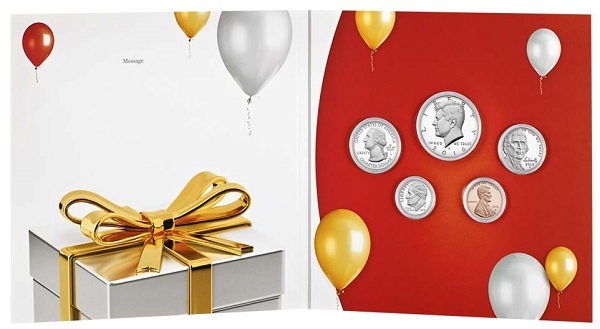 Today, January 6, the U.S. Mint released its first products of the new year: the 2016 Birth Set and the 2016 Happy Birthday Coin Set. Each of these sets costs $19.95 and has no listed mintage limits or household order restrictions. 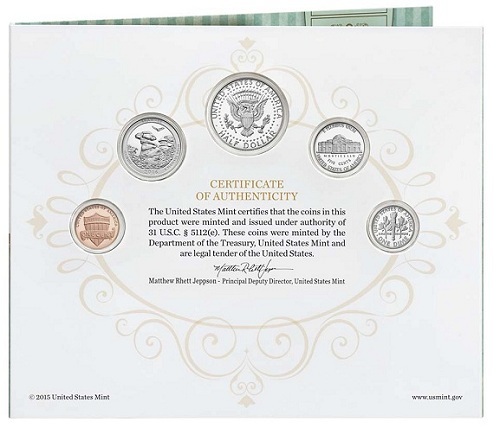 Both items are conceived as gifts to be handed out on the occasion of a birth or a birthday, but they also provide the first opportunities for collectors to obtain Proof versions of 2016 circulating coins. 2016-S Proof Kennedy Half Dollar. The coins are packaged in a folder that includes room for a personalized message, a newborn’s vital statistics at time of birth, and a 3 x 5 photo. A certificate of authenticity is also included. The contents of the 2016 Happy Birthday Coin Set are very similar, the key difference being the inclusion of the 2016 Fort Moultrie (Fort Sumter National Monument) ATB quarter instead of the Shawnee issue. The packaging for this product has room for a personalized message and is accompanied by a certificate of authenticity. One of the perks of these sets is that they are the first products to include the 2016 Shawnee and Fort Moultrie America the Beautiful quarters, though collectors of these issues should keep in mind that the full 2016 ATB Quarters Proof Set is due out next week, on January 11. 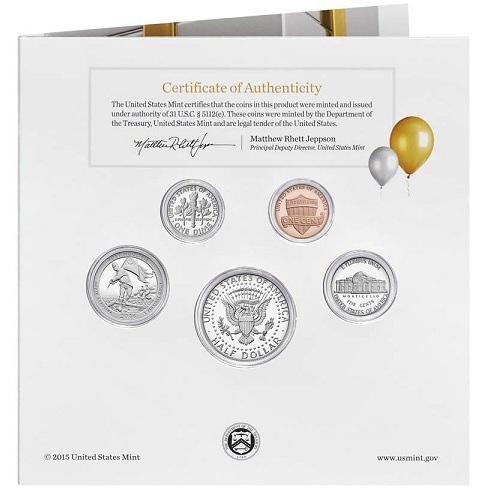 For more information, please visit the U.S. Mint’s product pages for the 2016 Birth Set and the 2016 Happy Birthday Coin Set.